In today's environmentally conscious world, everyone wants to do their part for a more sustainable future. But it's hard to know what you can do to limit your impact on the planet. One of the easiest and most eco-friendly choices is to install an energy-efficient heating and cooling system in your home for dramatically reduced energy usage. And, as if that wasn't enough, the lower energy consumption of these heating systems will also help you save big bucks on your bills! In fact, some Energy Star rated HVAC systems can save you up to 30% on heating and cooling. Solar heating systems are a great hot water heating solution that's eco-friendly and has extremely low operating costs. These systems can provide up to 80% of your home's hot water for major energy cost savings. Used to heat hot water, pools, and water for radiant heating, solar heating systems harness the free energy of the sun. And, although solar hot water heating can be expensive to install, it usually pays for itself in less than five years (in reduced energy bills and government incentives). Once the equipment is paid off, you have almost zero operating costs. Hybrid heat pumps are efficient combinations of gas furnaces and traditional heat pumps; blending two energy-efficient systems allows this hybrid to get the best of both worlds! Heat pumps function quite efficiently during warm months, but at cold temperatures they typically lose their effectiveness. Hybrid heat pumps work like a hybrid vehicle, turning on the gas furnace when necessary to supplement the efficiency of the heat pump. Switching between the two heat (and cooling) sources allows the system to automatically adjust for optimal function. Ground source heat pumps are among the most efficient heating and cooling options on the market today. They're eco-friendly as well as inexpensive. This specialized type of heat pump utilizes the relatively constant temperature of ground to heat your home in winter and cool it in summer. A loop of piping is installed in the ground near or under your house, and liquid (antifreeze or water) flowing through the loop heats or cools your home depending on the season. In summer, the soil is relatively cool, so it chills the liquid, which in turn cools your home; in winter, the soil is warmer, heating the liquid. Ground source heat pumps are a completely safe method of heating and cooling your home with a renewable alternative to fossil fuels. They can even reduce your home heating costs by up to 70%! Radiant heating is another environmentally-friendly heating solution that has gained popularity in recent years. Radiant heat functions by circulating heated water through pex tubing in your flooring. This warms the floor and radiates heat throughout your space as the warmth from the flooring rises. Because the tubing must be installed under the flooring, radiant floor heating is recommended for new construction or during major remodels. However, despite the expense and hassle of installation, many homeowners love the energy-efficiency and great tactile experience of radiant heating. Just imagine walking across a toasty-warm floor instead of icy cold tile! Radiant heat can be used as a whole house heating system or installed in individual rooms (commonly kitchens and bathrooms). Consult your local HVAC contractor to learn more about these different energy-efficient options for heating and cooling your home. They'll be able to give you expert advice about your specific area and help you select the best HVAC system for your needs. 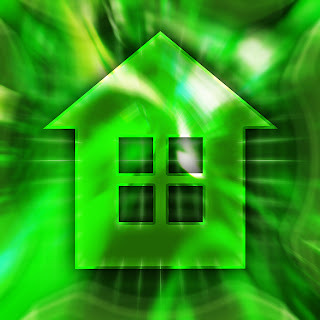 If you're ready to switch to green heating, new energy-efficient systems are the answer you've been seeking! My heating system has been acting up lately and I am so glad I reached out to a repair man. I called a specialist in furnace repair and he gave me some great advice and was very knowledgeable of why my furnace was acting the way it was. He gave both my wallet and myself some great relief. Thank you for posting this information. I wish I knew more about heating and the basics of air conditioning. I always seem to have similar problems... I have a major lack of knowledge. I know that there are some differences between certain companies and companies in Markham and their heating. It is important to do research to learn what is necessary to make an educated decision. Heating and cooling systems need clean filters for energy efficiency and green operation. Dirty filters waste energy, cost you money, and reduce the life of furnace, heat pump, and air conditioning systems. Thanks,This information is very important to used of the system.and I have to used the Heating and cooling system. Hey! This is a good read. I will be looking forward to visit your page again and for your other posts as well. Thank you for sharing your thoughts about heating in your area. I am glad to stop by your site and know more about heating. Keep it up! Heat is not stored within a body. Like work, it exists only as energy in transit from one body to another or between a body and its surroundings. When energy in the form of heat is added to a body, it is stored as kinetic and potential energy of the atoms and molecules in the body, which are jointly totalled as internal energy. For this reason, by the strict definition of heat used in this article, one says not that heat can be convected, but rather that internal energy can be convected. In engineering and ordinary language, this strict definition is often ignored, and then people do speak of convection of heat. The area's most trusted & reliable service company. Thank you for posting this article on how I can save energy while still heating my house. This is a great invention and should be used by everyone. Heating in toronto is very important because it can get so cold here, but that means that a log of energy is being used. If we could all use this idea, a lot of energy can be saved. Thank you for your help! The things that Edmonton heating is willing to do for a customer is amazing to me. Thanks for sharing this information. This has been so interesting! I have been looking at markham heating and I think it's a good idea after reading this article! Thank you so much! Thanks for the tips on heating. Anyway that I can become more energy efficient in Lethbridge, the better! Really useful info you have shared about heating and cooling, appreciate this work. Very nice tips you have shared here about heating and cooling, appreciate this work. Thanks for the post, and if anyone is having other home heating problems then they should go and check out http://www.thegentlemenplumbersedmonton.com because they're are quite helpful. Another at lower heating system element placed closer to the ground of a water tank. You explained well how heating system works and other methods in a layman terms. Thanks for the great info on heating kamloops. Very informative! Pretty good article, You have clearly defined about having energy efficient HVAC solution in our home. I do agree with the ideas expressed here. Green and HVAC method must be the feature of a modern HVAC systems.